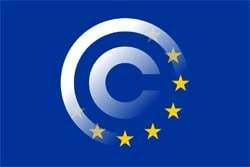 Last September the European Parliament backed the controversial Article 13 plans, which are part of the EU’s broader copyright reform plans. This was followed by several rounds of trilogue negotiations, during which the final text would be drawn up. This process was completed today. The European Parliament and Council have finally agreed on a final text of the EU copyright reforms. This includes Article 13, which was highly debated and criticized over the past several months. Despite the protests and objections, which also came from rightsholders in recent weeks, lawmakers didn’t slow down. The final version of Article 13 is based on the compromise deal France and Germany struck last week. In short, it requires for-profit Internet platforms to license content from copyright holders. If that is not possible, they should ensure that infringing content is taken down and not re-uploaded to their services. This will essentially mandate “upload filters,” opponents have warned, but that wasn’t much of a stumbling block during the negotiations. The main point of contention was which services should adhere to the new rules. Last September’s version of Article 13 excluded small businesses, but that’s no longer the case. If a service is publicly available for less than three years, with fewer than five million unique visitors per month, and an annual turnover of less than €10 million, only then it is excluded. This means that only small startups will not be bound by the new rules. These companies will still have to do their best to obtain licenses from rightsholders. However, they will not be forced to prevent infringing content from being re-uploaded. According to Pirate Party MEP Julia Reda, who has been highly critical of the plans, the current version of Article 13 is even worse than before. 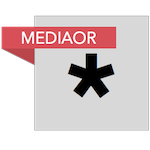 “This deal is a threat to small publishers, authors and internet users alike and risks putting the internet as we know it solely in the hands of the tech and media giants,” Reda comments. “Even the most sophisticated upload filters routinely block perfectly legal content. Requiring platforms to use upload filters would not just lead to more frequent blocking of legal uploads, it would also make life difficult for smaller platforms that cannot afford filtering software,” she adds. Today’s deal follows months of protests, mostly from people who fear that upload filters will decrease freedom of speech. This includes #SaveYourInternet, as well as a widely shared petition that was signed by more than 4.7 million people. Various major copyright industry groups also voiced concerns, but not about filters. They feared that a watered down version of Article 13 would do more harm than good so suggested that it might be better to scrap it entirely. Not all artists appreciated this stance, but it might very well have been a negotiating tactic. EU copyright rapporteur Axel Voss, who’s one of the driving forces behind the plans, nonetheless found plenty of support in the creative community. He repeatedly argued that Article 13 and other proposals are needed to make sure that copyright holders get the money they deserve. The deal that was just reached doesn’t come as a complete surprise and it’s not the end of the road just yet. The European Parliament still has the final vote, which is expected to take place in March or April, before the EU elections. “Today’s news is a backwards step for freedom of expression online, but it’s not the end of the road, we can still fight against damaging upload filters and a link tax. We need to send a clear message that we want to protect authors’ rights as well as users and small publishers,” Reda notes. Those who support the proposals will continue their campaigns as well, so expect to see more new about it leading up to the final vote. Breaking news, more updates may follow.